Almost everyone looks forward to the holiday season. After all, it’s a great time to see family and friends while enjoying delicious foods. Of course, it’s always more fun when you’re not the one hosting the holiday. So what happens when your turn comes around? 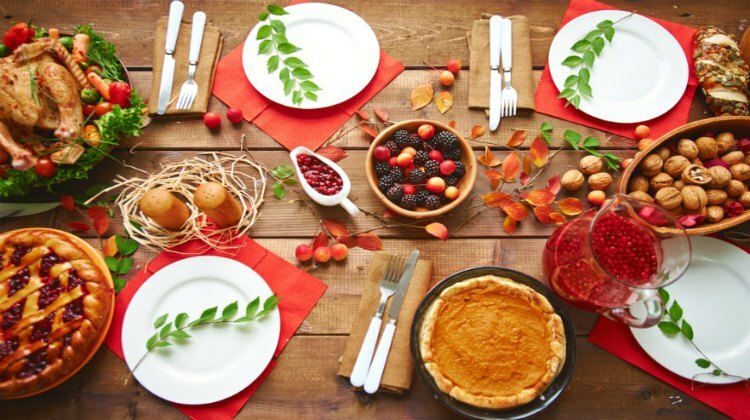 Follow our 10 Thanksgiving hacks to save you money this holiday. Thanksgiving is a very traditional holiday. When you think of Thanksgiving dinner i’m sure there are a couple of staples that come to mind. Turkey? Gravy? Cranberry sauce? But, what does your family really like? A great way to save money is to cut out the unnecessary items. Sure, everyone is expecting to see stuffing on the table, but what’s the point of making it if it’s just going to sit there? There’s no Thanksgiving law that says your dinner needs to be completely traditional. Instead, just focus on the items you know your guests love. Go for produce that’s in season. This will ensure that it’s fresh- and it will be cheaper. Luckily for you, butternut squash’s season coincides with the holiday. There are a million recipes out there to create the perfect butternut squash side dish to accompany your turkey. Want super fresh vegetables? Consider growing your own garden. Then you’ll be able to serve seasonal selections all year long! We all associate Thanksgiving with stuffing ourselves full of delicious food until we pass out for a nap. But, our eyes are a lot bigger than our stomachs most of the time. Once you fill your plate up, you’ll soon realize there’s no way you’ll finish it all. What a waste of what could be leftovers! One way to fix this issue is to use smaller plates. By doing this you’ll feel comfortably full after dinner, and save all those leftovers for the upcoming week!